I am reviewing books, and cds to help you decide what you need.I look for simple to use and read. Do you like trains! STEAM, ELECTRIC, DIESEL, Well we all like trains, and i guess, some like rail-scanning.Im one of those guys, well with a rail line being 40 metres from my back door, its only natural. 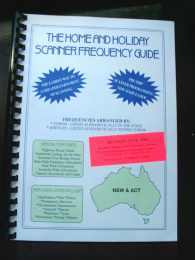 so this is THE scanning reference, NO, Bible for the rail scanner listeners, plenty of good information and frequencies and GRN IDS. Good design and excellent value for money. 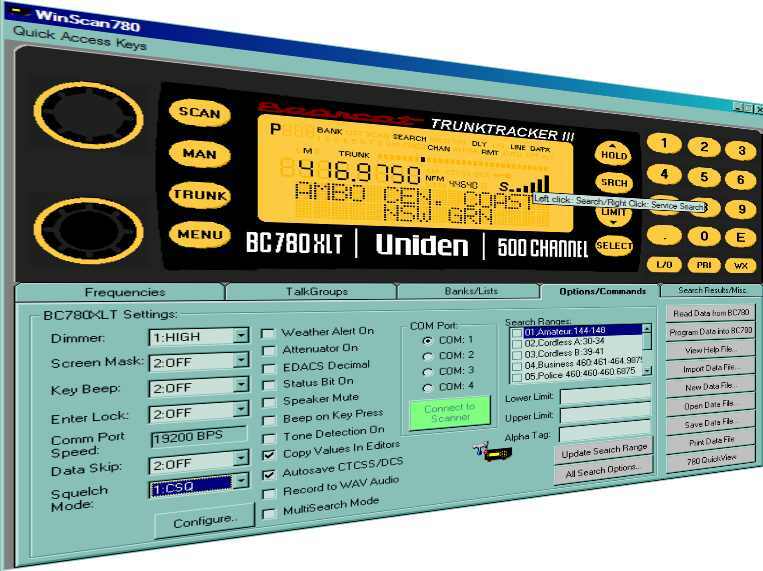 programming and controlling the (U)BC780 XLT. Minor bugs were fixed and new options were added. opens/closes while running under Virtual Control. as you see a lot of features.. ive included a direct download below from our site find it below..
Now for Newcastle, there are about 4 pages of listings NOT in any specific order and so you have to sought thru them carefully and to a new scanner owner i say "dont worry about it". 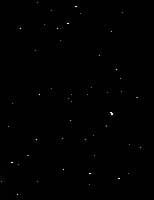 There is GRN Freqs but no details, a couple of codes meanings and they dont even list Police Simplex CH65.. Which on the road can let you listen, sometimes to rader location chit chat. To connect you Uniden 780XLT to you computer you need a serial cable and some software, well there are several pieces of software but uniden recommend Winscan and it is a useful package. The Basics are connect the scanner as per the manual, turn on the scanner and set up the comms in the scanner and enter remote mode, I've noticed that once it set into remote mode it stays that way till you change it. (good feature)then run software and connect to scanner. and wow everything the you push on the scanner can be done with the mouse! click on the link to download the trial version. its fully operational except you cant program the banks except for bank 1. email me if you have any questions and ill see if i can answer them for you. Click here to directly the winscan website! Well since theres been no appearence of Radiomag in a few months i guess its gone bye bye.... and while i dont want to get involved in the newsgroup discussions i had heard about his new mag called Radioworld so when it turned up at garry Ls with a 2nd copy for me I had to read it and review. Well lets start with the price! its cheap, $22 for 2 years bi-monthly published via subscription and you become a Syncro Radio Club Member, Membership Which also gives you 5% Discount on all purchases and services From syncro Aust and Tower communications, free postage or overnight freight on purchased items up to 5KG so lets say that the mag is an vehicle for them but thats ok after all TV radio and other media is based on that. SO whats inside Vol.1 No.1? 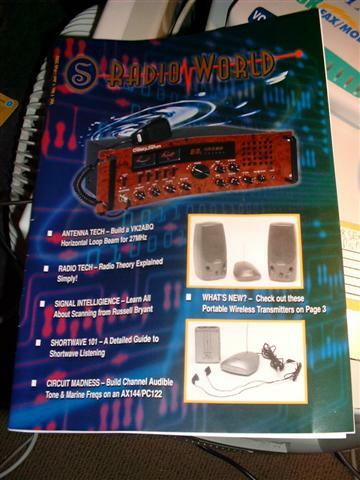 The Stuff i want, theres basic theory, Shortwave, propogation, electronics (on radios i might add! you know what im talking about)And Russell Bryant with his classic scanner info, Antennas, soon to come Free Classifieds! and what i like to see ADS, i really like to see new stuff and what it worth! i hope eastern coast business's join in and advertise, i wont deny that the first issue is thin but its not full of useless garbage (see RADIOMAGS last issue) and i expect it will become a very credible read!